Started as a telecommunications company in China, Huawei stepped into manufacturing of handsets back in 1997. Now it is the third largest manufacturer of smartphones after Apple and Samsung in the world. Along with smartphones, Huawei also have a big share in world tablet industry. Firming this grip, Huawei come up with MediaPad T2 10.0 Pro last day. Interesting fact is that, it has been a few months before they launched another tab named MediaPad M2 10.0. With these consecutive launches Huawei made it clear that it is aiming the pioneer position in smart devices manufacture. MediaPad T2 10.0 Pro is having a dimension of 259.10*156.40*8.50mm and is having a weight of just 495 grams. The tablet is featured by both cameras, one at the front and the other to its rear side. MediaPad T2 10.0 Pro is having a display screen size of 10.1 inches edge to edge. The device is having a resolution of 1920*1200 pixels. The screen is featured by WUXGA IPS display along 224PPI. It has got a contrast ratio of 800:1 and supports upto 300 nits brightness. Unlike the earlier MediaPad M2 10.0, MediaPad T2 10.0 Pro is triggered by Octa-Core Qualcomm Snapdragon 616 MSM8939 processor. This processor has got a processing speed of 1.2GHz.The processor is supported by Adreno 405 GPU for graphics. The RAM comes to be 2GB along with an internal storage option of 16GB. Another variant of MediaPad T2 10.0 is also launched featuring a RAM of 3GB along with an internal storage of 32GB. Both these variants have got an external storage support which can be extended upto 128GB with the help of external microSD memory card. This enables MediaPad T2 10.0 to handle multi-processes and high end games without any lag. Users can interact with MediaPad T2 10.0 with the help of Android OS of v5.1 Lollipop along with Emotion UI of v3.1. MediaPad T2 10.0 has got a front cam with a lens of 2MP. It will help the users to have video calling and other related tasks. The rear camera is powered by a lens of 8MP. This main snapper is enhanced with features like dual-tone LED flash. it has got an aperture of f/2.0. MediaPad T2 10.0 supports 4G LTE. You can insert a micro-SIM of your choice and enjoy 3G as well as 4G. But voice calling is not allowed. It also support WiFi, GPS and Bluetooth. OTG cable is supported via USB. You can enjoy music by plugging in headphones with 3.5mm jack. MediaPad T2 10.0 also features a number of sensors. Supported sensors include Proximity Sensor, Accelerometer, Ambient Light Sensor and Gyroscope. But it doesn’t support Compass, Temperature Sensor and Barometer. MediaPad T2 10.0 is functioning with the help of non-removable battery. It has got a capacity of 6660mAh. It is just huge when a tab is considered. This battery can definitely hold MediaPad T2 10.0 for atleast a day long without any power issues. 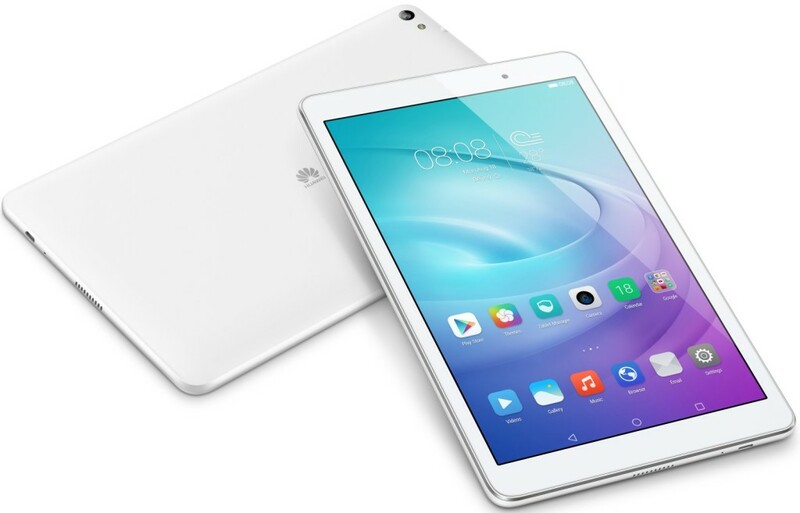 MediaPad T2 10.0 is already launched to the markets by Huawei. You can have the Pearl White and Charcoal Black colour options for the device. Unfortunately no information is available regarding the pricing of MediaPad T2 10.0.